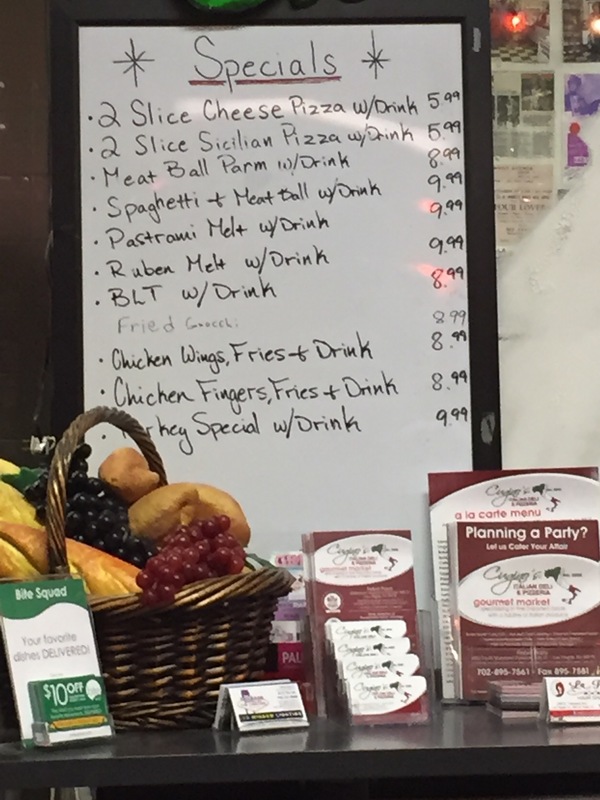 Located 10 minutes outside the Las Vegas strip, behind the University Nevada, Las Vegas (UNLV) is this tiny Italian deli. I found this place by accident, and try to make it a point to stop by here for their Italian sandwiches before heading back to California. The restaurant is located in a strip mall, with a Coffee Bean and Tea Leaf and a Chipotle at the street front. 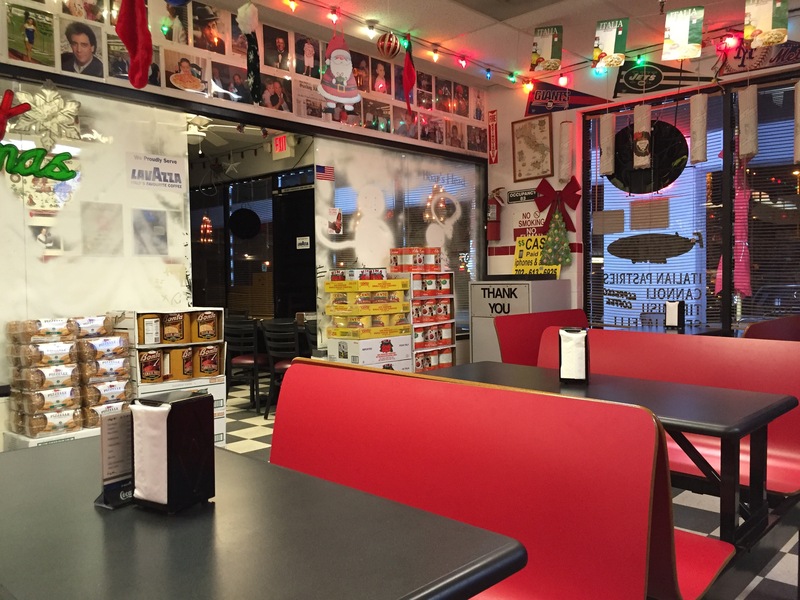 When you walk inside, the wall is decorated with photos of famous Italians, Italian food items are lined along the wall and shelves, and New York team logos are plastered throughout the store. On this visit, we needed something quick before going to the KA show at the MGM. 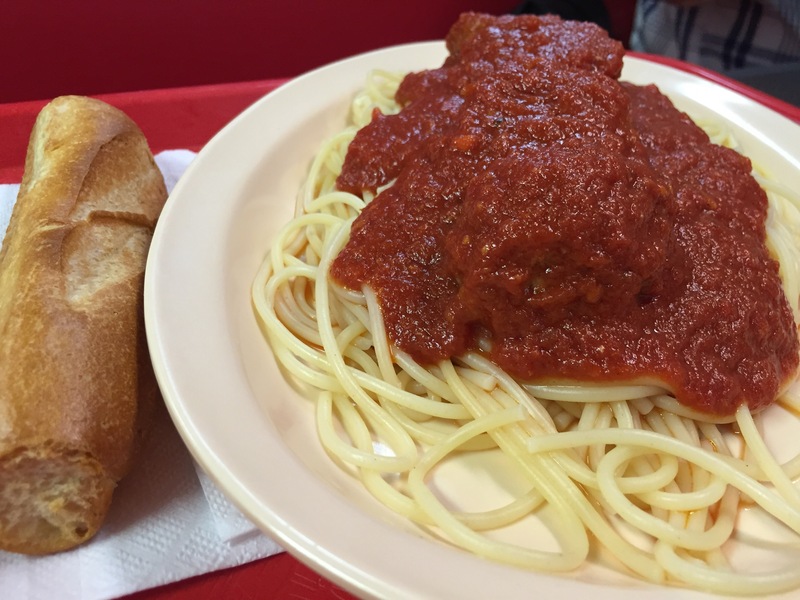 Aside from hot and cold sandwiches, this place also serves pizza and pasta, and offers affordable daily specials which won’t break the bank (and that’s important in Las Vegas!). We started off our dinner with their garlic cheese bread. 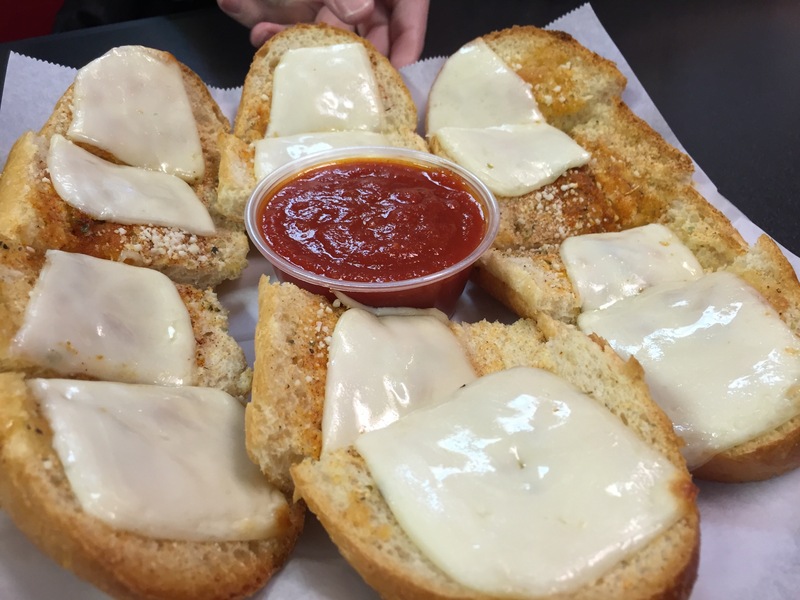 Its a simple starter with garlic and melted cheese on a thick Italian roll. For our entrees Stephen and his dad ordered the spaghetti and meatball special, which came with 4 meatballs. 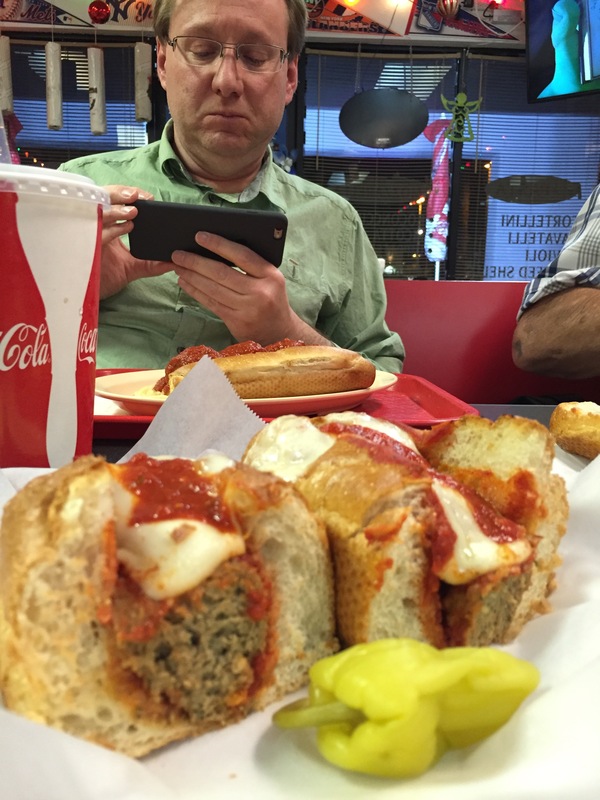 Stephen’s mom and I had the meatball Parmesan sandwich special. It was loaded with lots of cheese, and I could have easily shared one. The portions are generous, and you won’t leave hungry. Its a great place for a starving UNLV student. As I said, the place won’t break the bank. The total for all 4 of us came to $45 with tax, and we left in a food coma.